The #1 thing to start with when researching a CBD isolate supplier is sourcing and transparency. Where is the CBD isolate sourced from? Do they offer that information on the site, or is it vague or hidden? 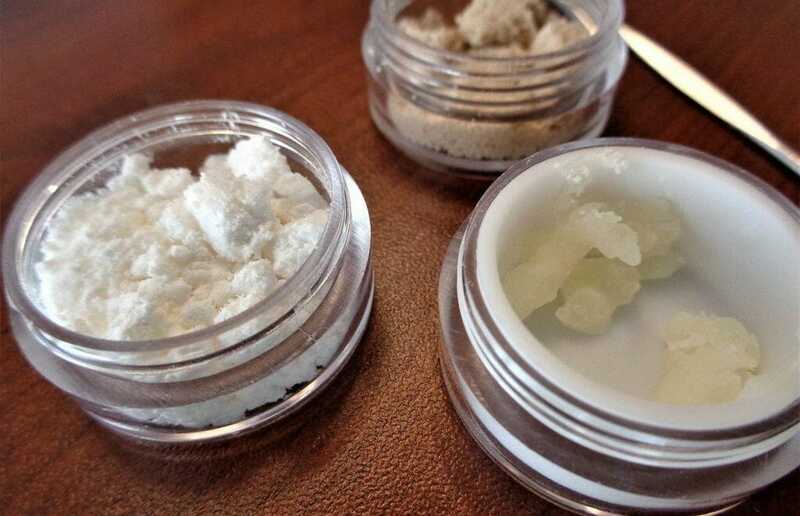 A legit CBD isolate supplier that is doing things legally will be transparent about where they sourced the isolate from, where the cannabis was grown and the content of the products you’re ordering. If you are buying in the U.S.A. it’s important to know if your supplier grows its hemp in the U.S.A. and if it’s from the Registered Farms that adhere to the 2014 Farm Bill to ensure legality. If the supplier does not clearly state this on their site, it’s likely that it was not sourced from a legitimate, registered farm and the the product you are considering could be sourced from mystery hemp – that’s if it’s hemp at all. If you’re wondering why the hemp your CBD isolate or oil came from should have been grown in U.S. or why it matters where the plant was grown – it’s because of the nature of the plant. Hemp absorbs everything that’s in the soil – including toxins. It has been used to help clean up the land in areas that had droughts or poor soil conditions – it was famously used in the Chernobyl Nuclear Disaster site to help clean up toxic soil. While this is good if it is being used for that purpose, on the other end, it can be very bad if a consumer is ingesting CBD products sourced from hemp grown in less than clean soil. It’s important to know where your CBD’s hemp was grown and if it was a safe, healthy, clean environment. The Federal Farm Bill of 2014 has set forth a system of state programs that allow legitimate hemp cultivation – but registering and being allowed in to obtain a license to grow comes with a closely regulated set of requirements. This shows the extra measures being taken to ensure a clean, safe product being grown in the U.S.
First of all, your supplier should be registered with the department of Agriculture of the state they are based and operating in. The Departments of Agriculture have their set of regulations, including inspecting the operation and products of the supplier. The Department of Agriculture adds another measure of safety and assurance that the product you’re purchasing is safe. Another important certification to look for when shopping for CBD Isolate is a CGMP certification. The CGMP or Current Good Manufacturing Practices certification is the main regulatory standard for ensuring the quality and safety of human pharmaceuticals. These are regulations enforced by the FDA and they provide systems that ensure proper monitoring, design and control of manufacturing processes and facilities. This certification means there are a strict regulations on the quality from which the product was sourced and ensures that there are strong quality management measures in place as well as investigating product quality deviations and establishing robust operating procedures. A consumer typically doesn’t have enough knowledge and expertise on every product they buy to be able to detect via touch, smell or sight, that a drug product is safe or if it does, indeed, work as it claims it will. The CGMP requires testing of the products and it requires that the facilities used to manufacture the products are in good conditions, that the equipment is properly maintained, that employees that make up the operations are qualified and trained and that the process is reliable. This certification ensures a safe operation and product for the buyer. Being able to find clear, easy contact information is another way to vet your supplier. There are so many websites and suppliers emerging in this industry and just because a supplier has a website doesn’t mean they are legitimate. It’s important to be able to hold your supplier accountable for the transaction you are considering them for. If you come across a CBD isolate or oil supplier with vague or non-existent contact information, look at that as a huge red flag. You should be able to see their phone number, mailing address and emails. Take the extra step of googling the address and calling the number, just to make sure they are running a real operation and are findable. When you call, shoot them a couple questions about the product to really get a feel of who you’re buying from. A great way to get more assurance that you’re getting a legitimate product with your supplier is to look for a certificate of analysis. Since the value of a cannabis derived product like CBD isolate or oils comes from it’s makeup and percentages it contains, it’s important to be able to have some kind of proof that what you’re buying really does have all the things it says it does. An analysis of what the products contain is provided and issued by laboratories that specialize in breaking down what products and compounds contain. The Certificate of Analysis should be readily available and displayed on the site, breaking down THC content, if any, in percentages, and any other forms of content. Once you’ve checked out the Certificate of Analysis for the product you’re considering, you might also want to see who issued the certificate and do a quick google search on them to – to ensure the “certifier” is not falsified. When buying CBD Isolate online, you are at the mercy of what is listed on the supplier’s website. However, if you keep these items on your checklist and take the extra steps to fully verify that their claims are legitimate, you’ll be able to rest assured that the CBD Isolate you’re buying is exactly the quality you need.